Happy Sunshiney Saturday everyone! Sharing this story warms the heart. A wedding gift from mother to daughter combines the bride's Irish heritage with her grandmother's diamond. There is nothing like jewelry to keep generations alive. 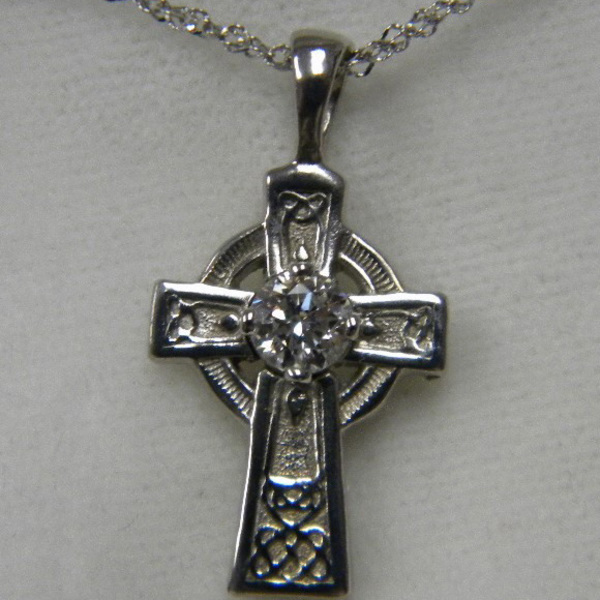 This cross is sterling silver, with the diamond set in white gold prongs. Have an awesome day!